Children begin their development on the day they’re born. Decades of clinical research tell us that the first five years are a critical time in a child’s development. They’re ready, willing, and eager to say their first words, take their first steps, and make their first friends. And, their continuing development remains wide open for more input from their surroundings. These eager little learners need more than “socialization” that nursery school traditionally gives them. From their earliest days in infancy, children need to be guided and stimulated to becoming happy, healthy, strong and confident individuals. 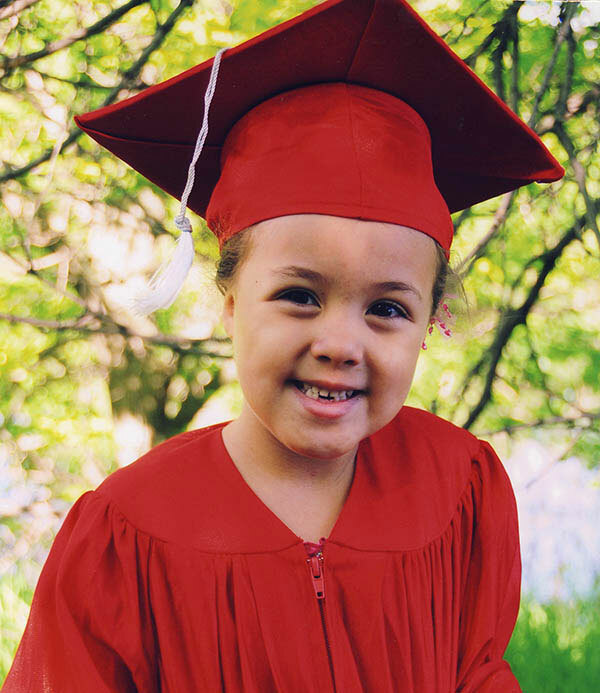 Their emotional, physical, and intellectual development are just as important to our little ones to ensure future success by the time they enter formal schooling in kindergarten – typically at age five. A quality preschool gives those little feet a big step forward. Getting along with others is certainly the key to success in life. Making friends and keeping them, sharing, following directions and rules, and the ability to hold a conversation as well as listening are the parts of social readiness children need to master before they’re required of them – on day one – in kindergarten. Conflict resolution and positive interactions with other children as well as adults are essential for school and lifelong success. A well-structured preschool with a development-oriented curriculum gives children these must-have skills. Successful social skills are the result of appropriate emotional development. Early childhood educators work with parents so young children have strong, positive relationships. Emotionally ready children care about how other people feel, have a sense of right and wrong, can calm themselves when upset, and can communicate feelings appropriately. Choose a preschool that builds emotional control and expression into their curriculum. The preschool years are when children acquire basic motor skills. Their use of hands and fingers and their mobility skills play an essential part of development. Children progress from helpless little bundles at birth into climbing, running, self-dressing, helpful individuals. Preschool programs should incorporate plenty of physical activities, indoor and outdoor, throughout the day to foster their physical development. The experiences children have in their first five years – good or bad – influence how their brains are wired to learn. Children need a variety of daily opportunities to plan, think, make judgments, process information, and talk about the results of their choices. From using complete sentences, naming basic colors and some letters, to matching, sorting, and counting, a quality preschool fosters a child’s intellectual development in many ways and works with parents to continue bolstering these skills in everyday life. If your child is preschool age, talk with our early childhood education staff about our preschool programs. Find a location to tour today!